This section is just to mention that I am published in a peer-reviewed journal due to my work on the ROSS project! 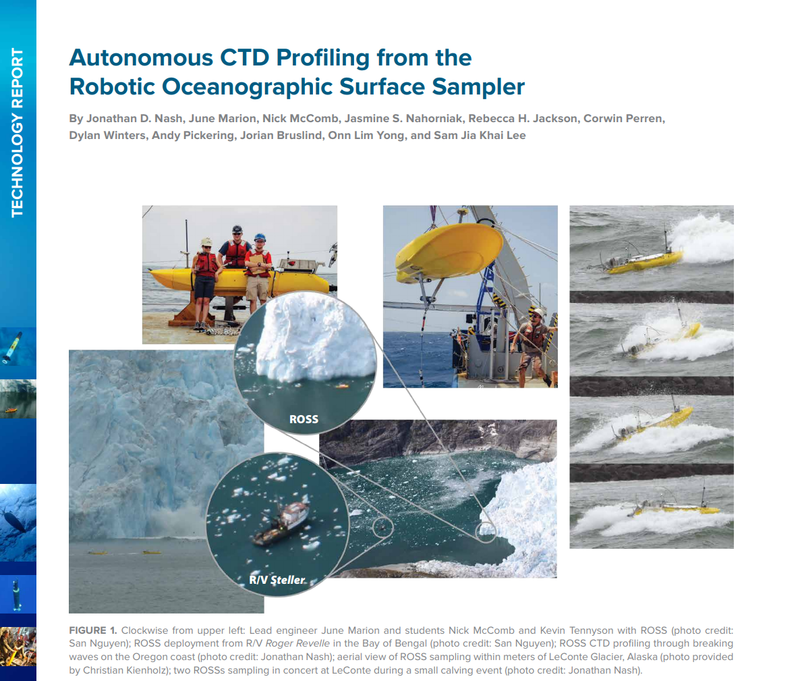 The article, “Autonomous CTD Profiling from the Robotic Oceanographic Surface Sampler” appeared in “Oceanography” magazine, volume 30, pages 110-112. See the links above to view more details and to read the article if you’re interested.